This item is made from fiberglass reinforced plastic and Kraton materials as detailed on the product listing and category heading. Their value and design is that of a self defense knife which can virtually be hidden anywhere. Impervious to heat, cold, moisture and extreme weather, and priced low enough to be kept in every room of your home, outside in the garden, and even in the shower. This is an awesome knife, it took a long time to get here but thats what happens when you live in little ol' Wyoming.The blade wasn't overly sharp but it has a good tip, the handle has a good grip and a great feel. Very decent for knife fighting. The lethality of this weapon is unquestionable. It is so light it is scary. A must have glad I bought it. I gave this knife 5/5 stars becasue it fills its roll perfectly. This thing is light and I mean light 3.5 oz. The roll of this knife for me at least is a knife never to be used in utility and that I would keep concealed in a handmade sheath in my pants which's loop goes over the side and into the belt. I don't mind carrying this knife around becasue it is so light. Ok now for the edge It is an extreamly poor cutting weapon this is true however it is very pointy and for the most part riged so it would make an exlent stabbing weapon. 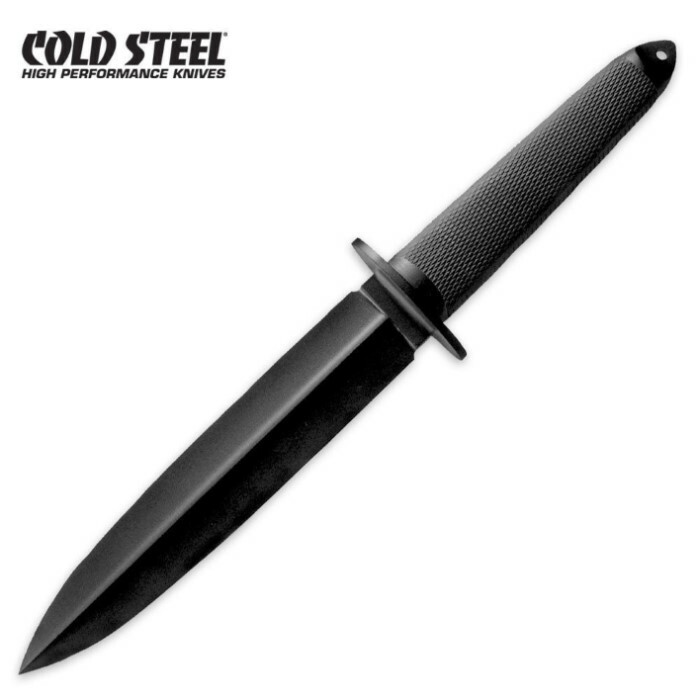 The reason I rated 5 out of 5 despite this is the fact that for the most part even a steel knife wont usualy cut through clothing and you lose very little stabbing efficency with this knife. If you were to ever need a knife for self defence you want as much reach as possible and copeing with the weight is very easy. Ie: It is very Carryable. 5/5 Purpose built self defence blade Very Nice!! !